Our Baptisms are a community celebration welcoming a person into our Catholic faith community. Baptism of infants and young children are celebrated at the weekend liturgy, either Saturday at the 5:00pm Mass or Sunday at 7:30am or 9:30am Masses. Registration for Baptism must be made two months prior to Baptism date. Please call the Parish Office at (920) 729-4560 to begin the registration process. 1. Parent(s) must be registered parishioner(s) practicing their faith and must participate in the baptism preparation class. 2. Please choose two sponsors for your child. According to the canon law of the Catholic Church, they are to be one male and one female. At least one sponsor must be a practicing and confirmed Catholic and be living a life which befits the role to be undertaken. 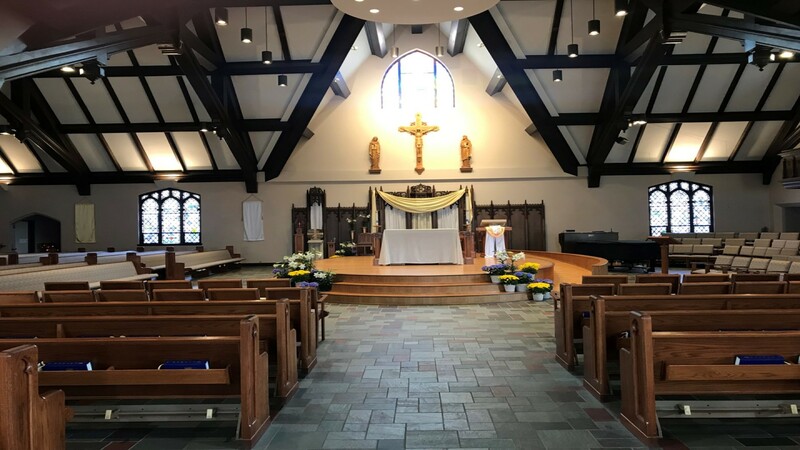 Adults who are baptized Catholic but did not receive the sacrament of First Communion may contact Amy Bolle at the Parish Office to discuss participation in the RCIA (Rite of Christian Initiation of Adults) program. In preparation for the Sacrament of Matrimony, we ask that you contact the Parish Office at least 4 to 6 months in advance of your desired wedding date to reserve your date on the church calendar. We will also assist in making an appointment to meet with Fr. Dennis to begin your marriage preparation. The sacrament of God's healing and strength is for anyone who is suffering with emotional, mental or physical illnesses. We offer Healing Masses with anointing twice a year in October and May. Individuals may also request Anointing of the Sick in the hospital, nursing care facilities, before surgeries, during recovery, etc. Please contact Fr. Dennis to make an appointment for an individual Sacrament of the Sick.